Walkerton covers two square miles in Saint Joseph County, which is 461 square miles in size. It is part of the South Bend Metropolitan Statistical Area. All the communities of northern Indiana are well-served by a modern network of roads, rail and air transportation. Over half of the population of the United States and Canada is within a day’s drive.Walkerton is 18 miles from interstate highway access to I-80/90. In addition, easy access is available to US and Indiana Highways US6, SR23, and SR104. 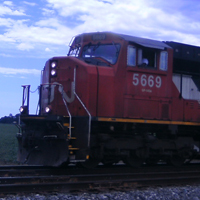 Rail service is provided to Walkerton by CSX, Norfolk-Southern. The South Bend Regional Airport serves Walkerton as the nearest major regional airport with scheduled flights and charter service. It is located 20 miles from Walkerton.Walkerton enjoys four distinct seasons. It is coolest in January with an average temperature of 23ºF and warmest in July with an average temperature of 73ºF. If you like experiencing the variety of activities all four seasons offer, we think you will enjoy our northern Indiana weather.